Clint Eastwood and the western genre go together like peanut butter and jam, it is hard to think of one without the other. Although I have seen many of the Sergio Leone collaborations and a few of Eastwood’s westerns such as Pale Rider and Unforgiven, there was one film that always eluded me…The Outlaw Josey Wales. Directed by Clint Eastwood, and cut from the same cloth as spaghetti westerns like A Fistful of Dollars, The Outlaw Josey Wales is a film that is part revenge flick and part anti-war film. One of the great things about The Outlaw Josey Wales is that it wastes no time getting to the action. Within the first fifteen minutes of the film, the family of peaceful farmer Josey Wales (Eastwood) is murdered by pro-Union Jayhawkers. After taking a brief stint training himself to be a better shot, Josey Wales joins a band of pro-Confederate guerrilla fighters but is reluctant to follow when they ultimately decide to surrender to the Union Army. When his guerrilla comrades are betrayed by the Union Army, Josey Wales finds himself an outlaw with nothing but revenge on his mind. Despite the presence of anti-war undertones, The Outlaw Josey Wales is an action film first and foremost. This is the type of western where six-shooter pistols fire off thirty shots in a battle and rarely need reloading. Even Wales himself manages to make it two-thirds of the way through the film before getting hit by any of the bullets flying about. This is by no means a knock against The Outlaw Josey, but the film works best if you know what you are in for. Although Eastwood is directing, this film is not a slow burn like Unforgiven. If there is one surprising aspect to The Outlaw Josey Wales it is the level of humour. 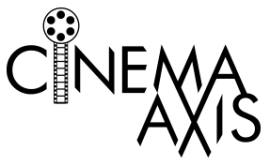 The film is filled with several supporting characters who offer up comic relief. Whether it is the ragtag group that Josey Wales finds himself making a makeshift family with, or dimwitted men trying capture Josey for the ransom, there a plenty of laughs throughout. 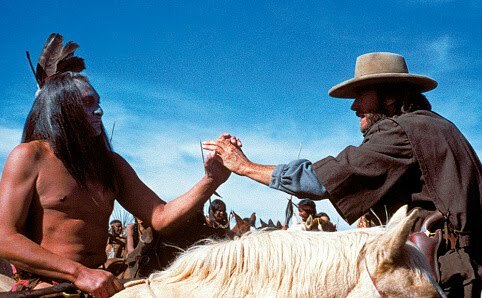 However, there is probably no character more amusing than Josey Wales himself. Eastwood plays Josey Wales in that same dry style as he did with the man with no name in Sergio Leone’s films. The main difference here is that Josey has a slew of great lines. For example when faced with seemingly insurmountable odds, Josey is asked why he is continuing to fight? Without hesitation he states in his gruff voice “because I ain’t got nothin’ better to do.” If nothing else the film is endlessly quotable. While not quite as strong as Eastwood’s Sergio Leone films, The Outlaw Josey Wales is still a satisfying western. While Eastwood does lay the anti-war message on a little thick, the film is far more enjoyable if you just watch it as a simple revenge flick. Watching Eastwood as he seeks revenge, and cracking jokes along the way, is what you should go into the film looking for. On that front it delivers. The Outlaw Josey Wales is also part of our “The Must See List” series. Tend to not watch too many Westerns but sounds good to me. I'll put it on my Lovefilm rental list! @Pete – Even if you are not a fan of Westerns there is enough action and comedy in the film keep you entertained for a few hours at least. Yeah, it's a damn fine film mixing all those elements you described along with little philosophical tidbits like "Dyin' ain't much of a livin', boy" and "There's another old saying, Senator: Don't piss down my back and tell me it's raining. "Still haven't seen "Pale Rider". I should rectify that. Have you seen "Hang 'Em High" from 1968 (not directed by Eastwood, but he stars in his very standard way). Great revenge flick. @Bob – This is one of those movies that is as fun quoting as it is watching! So many great lines. I saw “Pale Rider” for the first time last year and was very disappointed. I think I was just expecting something completely different from what the film turned out to be. I have watched “Hang ‘Em High”, but that was ages ago. I should revisit that one again soon. I've been wanting to see this for a while based on recommendations from family members. While its a shame it doesn't hold up to his classic westerns I would still like to check it out. Thanks. @Max – I can see why many would consider the film to be iconic. I definitely recommend you see the film, I just did not think it was quite up there with A Fistful of Dollars, The Good, The Bad and The Ugly, etc. More a case of personal preference I guess.